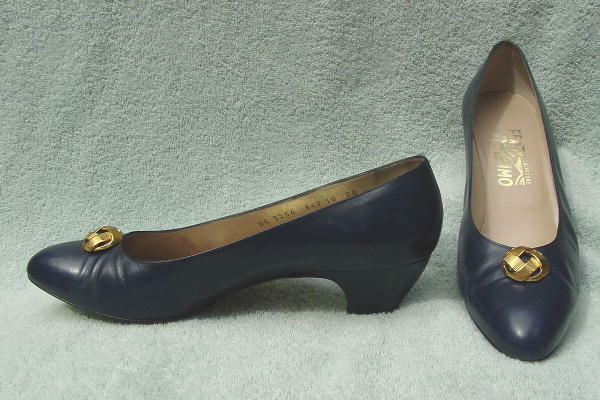 These dark blue leather pumps are by Salvatore Ferragamo and were made in Italy. They have gold-tone ridged, woven circular vamp ornaments. They have some wrinkles on the vamps and the shoes have a few scuff marks.